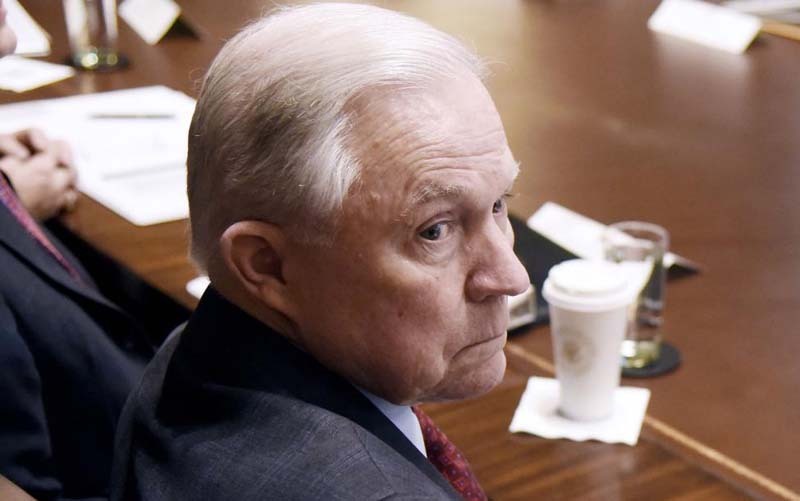 Attorney General Jeff Sessions on Monday announced the creation of a Religious Liberty Task Force to identify opportunities for the Justice Department to engage in issues of religious freedom. The task force will implement the goals of the religious liberty guidance Sessions issued last year under the direction of President Donald Trump's executive order. It directed the attorney general to "issue guidance interpreting religious liberty protections in federal law" in order "to guide all agencies in complying with relevant federal law." According to a memo released Monday, the task force will engage in outreach to the public, religious communities and religious liberty organizations to determine if the religious liberty guidance goals are being met and "develop new strategies, involving litigation, policy and legislation to protect and promote religious liberty." [post_ads]During a speech at the Justice Department's Religious Liberty Summit in Washington, D.C., Sessions said the cultural climate in the United States, and the West in general, has become less hospitable to people of faith and that many Americans feel their freedom to openly practice their faith "is under attack." "And it's easy to see why. We've seen nuns ordered to buy contraceptives. We've seen U.S. senators ask judicial and executive branch nominees about dogma -- even though the Constitution explicitly forbids a religious test for public office. We've all seen the ordeal faced so bravely by Jack Phillips," Sessions said, referring to the Colorado baker who was sued for refusing to make a cake for a gay wedding but ended up winning his case in the Supreme Court last month. Sessions added that Trump "heard this concern" and that he was elected, in part, because some of his voters expected him to defend religious freedom. "In substance, he said he respected people of faith and he promised to protect them in the free exercise of their faith. He declared we would say 'Merry Christmas' again," Sessions said. The Justice Department has obtained 11 indictments and seven convictions in cases in which houses of worship were allegedly attacked or threatened since January 2017 and its Civil Rights Division obtained 12 indictments for alleged attacks or threats against people because of their religion. "And we are not slowing down," Sessions said.